Don’t just dream: own your own fairytale castle and connect with your peeps all over your realm. 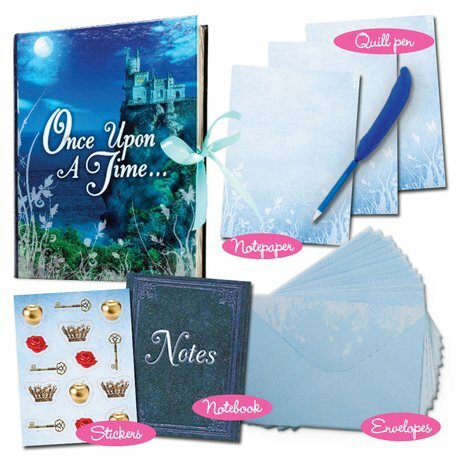 This romantic stationery is perfect for daydreaming in castle turrets, sketching magical kingdoms and sending notes to handsome princes. There’s a gorgeous box showing a romantic castle (yours!). Plus notecards and stickers to send good tidings all over your realm. Finally, use the quill pen and notebook to jot your musings down. Start them with ‘Once upon a time’.